Networking company Brocade is toughing out a shortfall in revenues from storage area networking, after it announced a 6% year-on-year fall, and 10% quarter-over-quarter to $374.4 million (£246.4 million) for the period ending April 27. It was part of an 8% quarter-over-quarter fall to $538.8 million (£348.1 million). 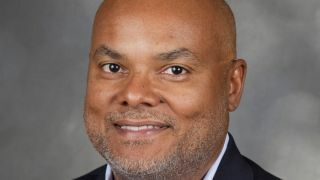 Brocade CEO Llyod Carney said in a statement that a slump in demand for storage was the main cause of the fall, but insisted the longer term outlook is more positive. He played up the prospects for Brocade's Gen 5 (16GBps) Fibre Channel products, and said there has been growth in its IP networking sales. "Following a thorough inspection of the business during my first four months as CEO, I believe that Brocade is well positioned to be a leader in the new era of networking," Carney said, going on to highlight opportunities in data centre networking. Brocade recently revealed plans for an on-demand data centre that combines its virtual and physical networking technologies.